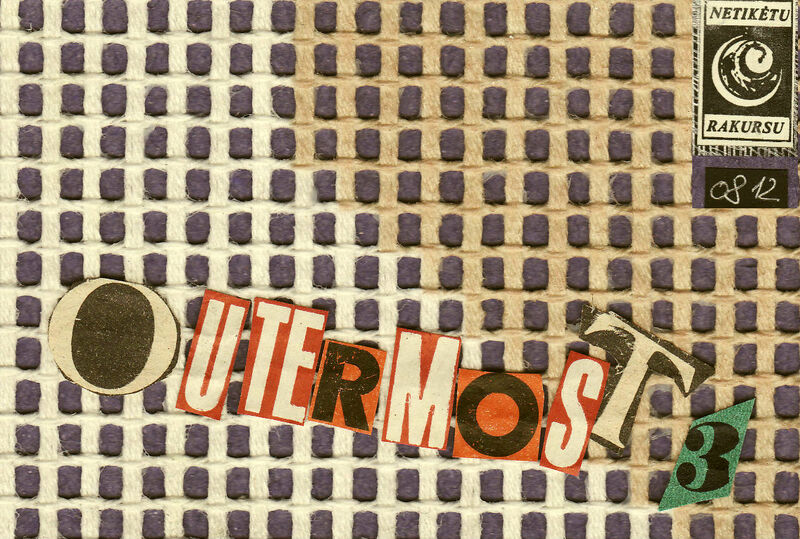 On 12th of August, presenting the third part of event series "Outermost" in Kirtimai culture house, Vilnius. In previous editions, which started this spring, there has played: Al doum & the faryds (It), Traps (Fr), Yumiko Yoshimoto (Jp), Miglaukas, Gailė Griciūtė, Raguvos, Groja Magas and Bruzgynai. In this edition we have guests from Belgium, these are Maan and Beyt Al Tapes, both known from famous underground label Kraak, based in Ghent, events. Additionaly there will be also one lithuanian artist Donatas Tubutis. The artist descriptions tell that it's gonna be the evening of lo-fi, synth and tape music, digital weirdness and what not. so I'm looking forward for the last Agharta event of this summer. Further editions are planned for late autumn.